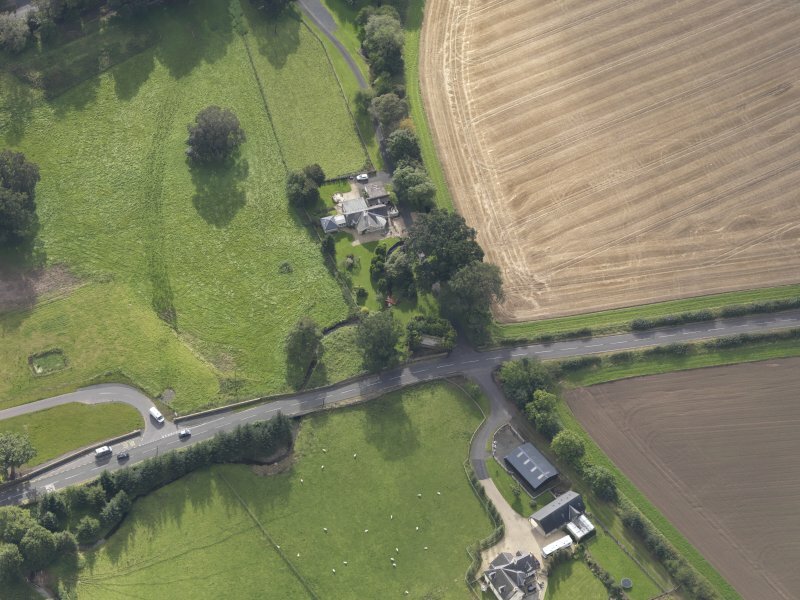 Oblique aerial view of Knowesouth Dovecot, taken from the NNW. (NT 6068 2141) Dovecot (NAT). A rectangular double-chambered dovecot with walls of rubble sandstone, 3ft thick, and crow-stepped gables. The slate-covered lean-to roof has two dormer windows. It is still used by pigeons. Visited by OS(WDJ) 27 January 1967.